Want to Try it All? This Package Has Beach, Volcano, and Jungle. This is our most complete tour of Costa Rica’s richly diverse landscapes. It will take you from the thrill of the city to the majestic Arenal Volcano. 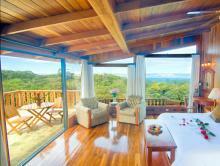 Afterward you will travel from the cloud forests of Monteverde to the tropical beachfront paradise of Playa Conchal. Your first stop on this epic journey is The Peace Lodge, a stunning boutique hotel known for the enchanting La Paz Waterfall and various on-site attractions like the jungle cat sanctuary. Enjoy several delicious dining options as well. Next, your private transfer will whisk you through rolling countryside to Arenal where the unmistakable sight of the volcano will greet you. Here you will stay in the Arenal Nayara, voted the most romantic hotel in the whole of Central America. The hotel features stunning volcano views, lush landscaped gardens, a sushi restaurant, and a wine bar. 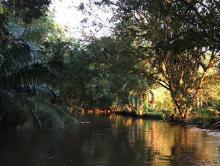 Enjoy the relaxing hot springs and a boat expedition to experience true jungle wildlife. It is time to move on! We now head to Monteverde and the world famous cloud forests that make up this Quaker-founded town. Enjoy a horseback ride through mystical forests and take a canopy tour to enjoy birds and all manner of wildlife. To round off this incredible adventure, we will take you to your final destination, one of the most beautiful beaches in the Costa Rica. You will finish your trip at the world famous and indulgently luxurious JW Marriott at Playa Pinilla! Start your Costa Rica vacation package when you arrive in San José where one of our representatives will show you to your private transfer. From there you will go to the Central Valley where you will stay at the exclusive eco-lodge The Peace Lodge. Explore the on-site attractions like the monkey house, aviary, and frog pond. Travel from the Central Valley to La Fortuna, where you will stay at the exclusive Arenal Nayara, widely regarded as one of the most romantic hotels in the continent. Go on a exciting boat expedition to the private wildlife sanctuary on Caño Blanco river, a true birdwatchers and nature enthusiasts paradise. See exotic animals, plants, and breathtaking vistas of this unique ecosystem. Pick an adventurous tour for the morning, like white water rafting or rappelling, and then visit one of the numerous hot springs for a relaxing afternoon. A boat transfer will take you the lush Monteverde where you will stay at Belmar Hotel. 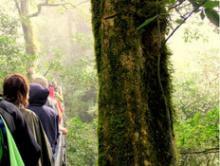 Visit the Monteverde Cloud Forest—a biological jewel and one of the most impressive reserves in the country. Have you ever wondered what it feels like to fly from tree to tree? 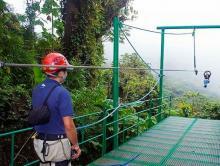 Find out as you go on a thrilling canopy tour. First head up the mountain on a sky tram with your guide and then feel the wind in your hair as you zip line down! Variations of this tour are available. 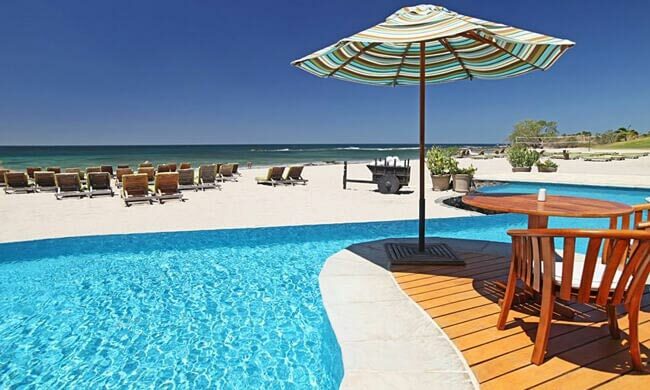 A private transfer will take you to sunny Guanacaste, where you will stay at the exclusive JW Marriott Resort. Choose between a morning or afternoon Catamaran and snorkeling tour. Enjoy sailing until you get to a white sand beach with clear water where you will go snorkeling while lunch is prepared by the chef! 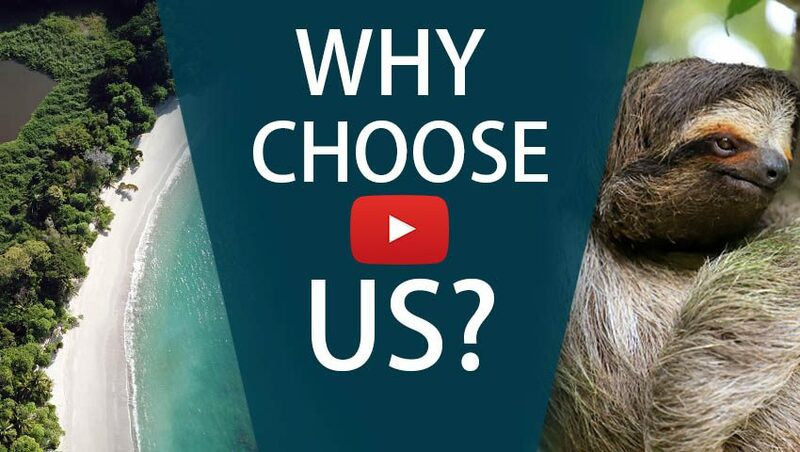 Make the most out of your stay in the JW Marriott. Guanacaste offers some of the most beautiful beaches in the country—they don’t call it the Costa Rican Gold Coast for nothing. 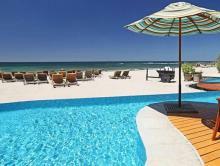 Take part in activities like kayaking, scuba diving, or just relaxing under the warm sun. A 5-star hotel experience in the gorgeous northwestern Costa Rican coast. The elegant ocean-front resort features four restaurants, two bars, a full service spa, and an impressive free-flowing pool.